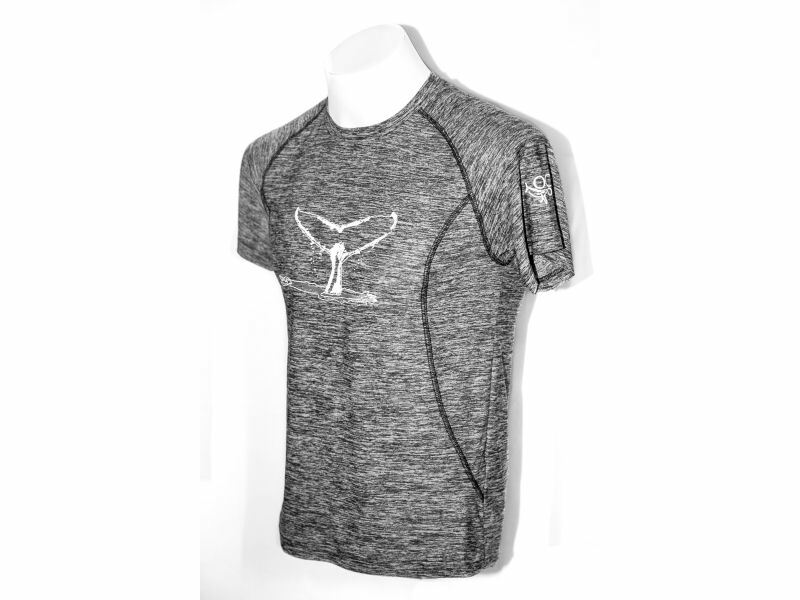 Charcoal splinter polyester spandex mens shirt with black stitching. 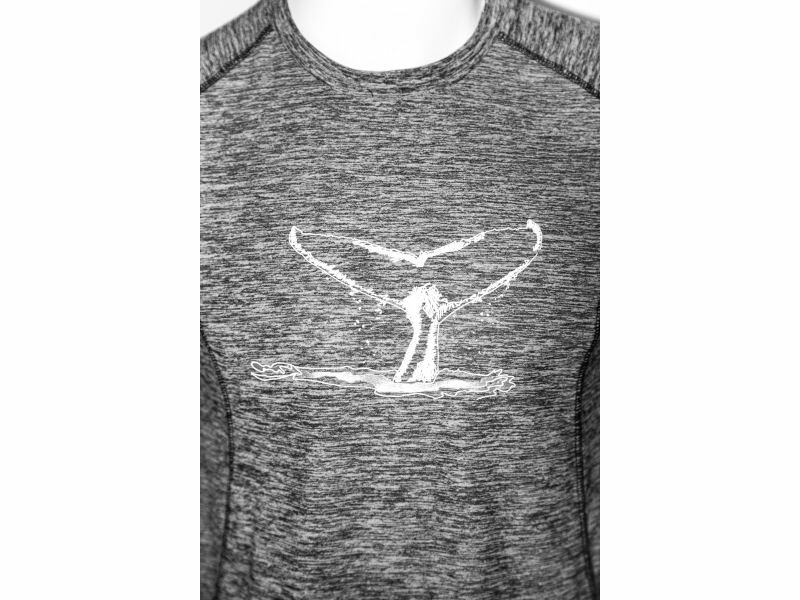 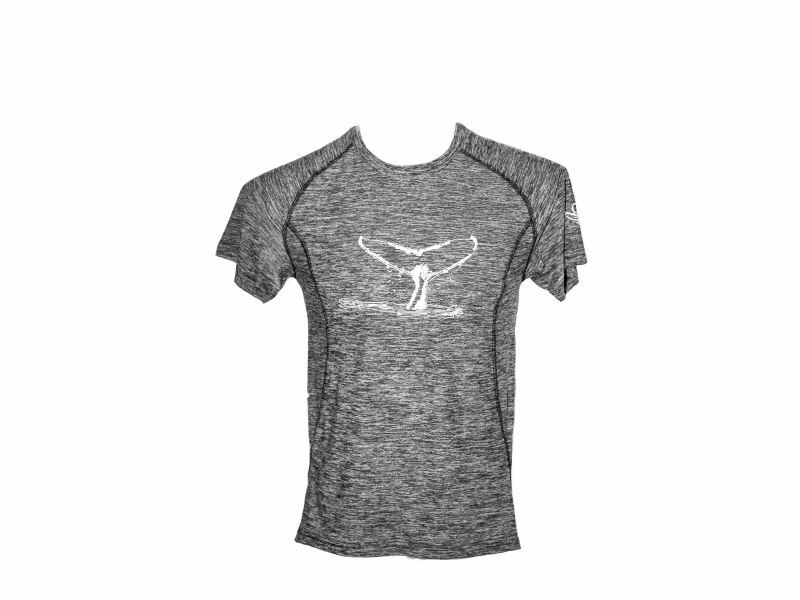 White whale tail print on the chest. 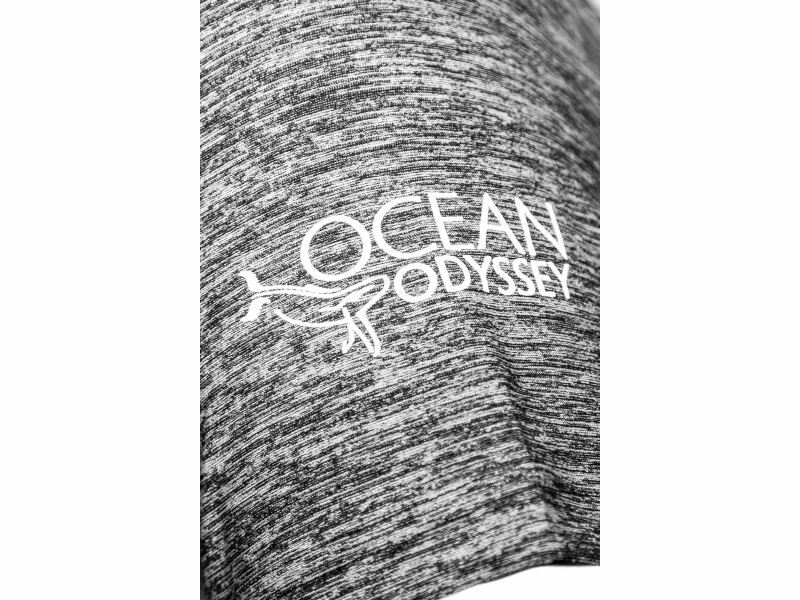 White Ocean Odyssey logo on the left sleeve.